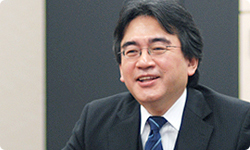 Takeda-san, if you were to describe Xenoblade Chronicles to someone who didn’t know much about it, what would you say? a single pint-sized youth comes face to face with an enormous god , creating some kind of connection. What I had in mind was to find out what kind of story would unfold from that point, contrasting the realms of the micro and the macro. When you actually play the game, you’ll find a vast world which you are free to explore at will. On the system side, you’ll find it’s a game that allows you to experience a host of new things. So I hope players will enjoy themselves as they explore the huge game world, experiencing that contrast between the micro and macro levels. For this title, we started with this giant model...We built the game world based on this, and what I really wanted to explore was how these tiny beings, the hero and his companions, would grow, and whether they would be able to embark on their adventure. That’s why I think that if I were to sum up this title in a single word, I would say that it was ‘embarking’. In the initial part of the game, the hero and his companions set out on their journey, facing the future in an unfamiliar world, and I wanted to describe the way they progress. And you were able to stay unwaveringly true to that theme, from the moment you first thought that it would be interesting to have people living on the bodies of these god-like giants, right through to the very end. We didn’t waver at all. We got through to the very end without the slightest deviation. 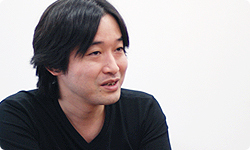 Personally, when Takahashi-san first explained the idea to me, I thought that it would make an incredibly solid core for the game, a thick central trunk. And because it was such a sturdy trunk, whatever we subsequently added was just a branch and couldn’t rival the solidity of that core. What’s more, the final product doesn’t differ in the slightest from the first time I heard about it. So that initial trunk really was a sturdy one. So it really seems that these models you made right at the start formed a sort of huge, solid trunk for the project. I really think that’s true. To conclude the interview, can I ask you to give the readers a final message? Right. If the game had already been released, there’d be a huge amount I’d want to say, but... Let me think... Well, I personally loved writing the parts for the enemies. Also, keep an eye out for the way the enemies disperse. That’s one tip from me. So that’s a part you put a lot of effort into writing? Indeed. 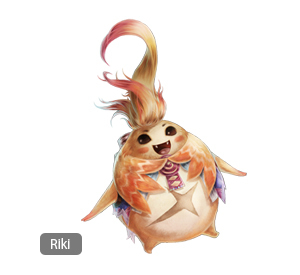 I’m also quite a fan of the character called Riki, so I’d like players to look out for him. Having said that, he’s quite a contradictory character. If you were just to read the script, you’d see that I’d written him as a character that’s going to make you angry. (laughs) But while all sorts of nasty, spiteful things come out of his mouth, he’s got such a cute appearance and voice – I thought that this combination was sure to create some kind of interesting chemical reaction. And how does he actually come across in the game? He’s ended up as a character you just can’t help liking. Right. So I really hope players enjoy the chemical reaction that occurs when the horrible lines and the way he acts combine with that cute appearance and voice. And now over to you, Takahashi-san. All of us have always worked on creating things, and we’ve had all sorts of experiences along the way. For this project, I started off by setting myself a very lofty target. The fact that every section, every part, everyone came together and kept running towards that target was a really fantastic experience. As Takeda-san said a moment ago, the central trunk of the scenario was extremely sturdy. But that wasn’t all it was – once it was placed within the game, it expanded and I think it lets you experience a truly rich world. The fact that we succeeded in making a game like this is the result of each member of the team giving all they had to their part, while also adjusting to fit in with those around them. I’d love players to experience those rich and detailed aspects which so many people have had a hand in. There’s no shortage of screenshots that have allowed us to glimpse the world of Xenoblade Chronicles, but that’s only the start. I’d like to emphasise that the true appeal of the world that Takahashi-san and his team have created is one that you need to play the game to really get a sense of. Yes, I think you’re absolutely right. 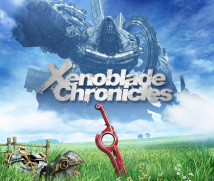 Monolith Soft has reached the ten-year mark, and I think that Xenoblade Chronicles is the result of the close and whole-hearted relationship that has been built between you and Nintendo. 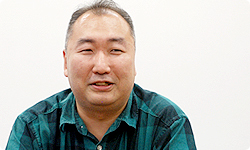 If it hadn’t been for the input of every single one of the sound team I spoke to last time, Takeda-san who joined me today, the Nintendo staff, and of course the Monolith team, Xenoblade Chronicles would not be the game it is. I pray that a great number of players can enjoy the fruits of the labour of so many and experience the charms of this game for themselves. Thank you very much for joining me today.